The real victim in Baltimore is not Freddie Gray, a repeat loser who eventually died as he had lived, being arrested by the police. 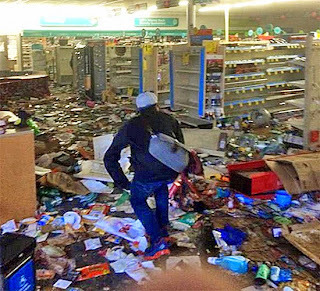 The real victims are not the thugs smashing and looting stores. It isn’t the young black men disproportionately stopped by the racist majority black police force in Baltimore under a racist black police commissioner for doing nothing wrong except the usual drug and weapons charges. It’s not even the “majority of law-abiding Baltimore families” referenced by politicians. 85% of Baltimore voters came out for Mayor Stephanie Rawlings-Blake, who gave the muggers and looters “space to destroy”, and then apologized for calling them thugs, defending them instead as “misguided young people” who “need support”. It was indeed. At least some of the stolen gift cards were used to buy clothes. And the shoe is still on the other foot. Just ask the criminals who smashed and grabbed while the police did nothing. Dixon had won 87% of the vote. And she wants to get back into politics. After the riots, she popped up to complain that white people were going about with business as usual while black anger grew. "We have some major inequities in the city," she said. "We have to put more focus in those areas." There are probably no inequities in Baltimore that can’t be solved by giving Dixon some more gift cards intended for the poor. What is the difference between Sheila Dixon stealing gift cards to buy an Xbox and thugs smashing up stores to grab saxophones, candy and liquor? Baltimore’s former mayor had climbed high enough to be able to steal without breaking the glass. While Dixon and Rawlings-Blake didn’t do much for the inner city youth whose plight we never stop hearing about, they did dismantle the tougher policing put in place by Martin O’Malley. Now Baltimore has become one of the few cities whose murder rate keeps rising. Today it has the fifth highest murder rate in the country. And since Dixon and Rawlings-Blake, the city also has 20,000 fewer people. Baltimore has been bleeding population almost as badly as Detroit. The city has gone from having 900,000 residents in the 70s to the low 600,000s today. Dixon and Rawlings-Blake made Baltimore a haven for criminals. They switched out crimefighting for community policing. Now we have to listen to sanctimonious speeches about how we need to make Baltimore even more criminal friendly as if the city were a police state, instead of a thug playground whose mayor calls muggers and looters “misguided young people” and gives them space to destroy. Baltimore does not have a policing crisis. It has a crisis of criminals. And those criminals aren’t just the ones who smash stores. They also run the city. But Rawlings-Blake can’t even grow Baltimore. 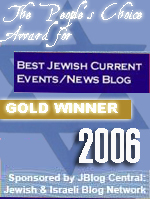 The only momentum that Obama’s administration is carrying forward is that of the racist mobs who voted for it. There are real victims in Baltimore. 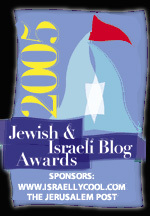 They are the hundreds of thousands of people who have been forced out by riots, crime and misery. 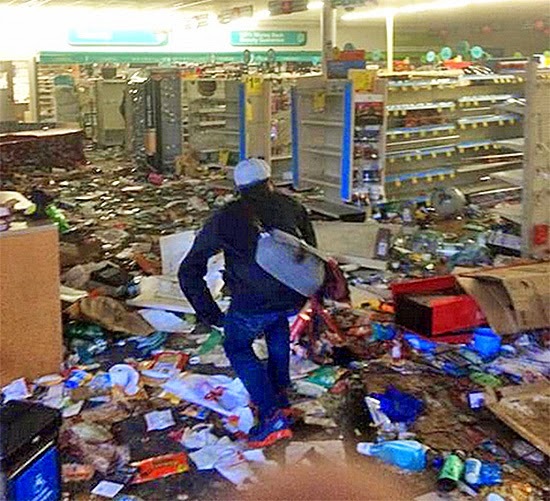 You can see some of the real victims still hanging on, trying to run stores on thin margins, sweeping up broken glass and talking about how they called the police and no one answered. They, and not Freddie Gray and his fellow criminals, are the real victims. They’re not just the victims of the thugs threatening their lives and destroying their livelihood. They’re also the victims of wealthy and powerful politicians like Sheila Dixon, Rawlings-Blake and Barack Obama. 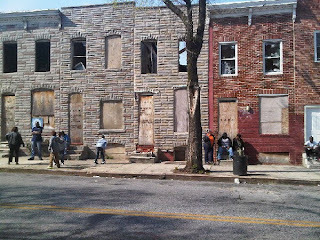 The tattered remnants of Baltimore’s middle class are trying to hang on despite a national consensus by Democrats and even some Republicans that instead of fighting crime, we ought to be going easier on criminals, that instead of prisons we need more social workers, and that the real victims are not bleeding baseball fans or hospitalized cops, but mobs of thugs who wanted to act out a movie they saw. The last thing that Baltimore, or any other place on earth, needs is more community policing, sentencing reform and political pandering to violent mobs. But pro-criminal politicians like Obama want to make Baltimore worse while turning the rest of the country into Baltimore. What would that look like? If the country had Baltimore’s murder rate, around 120,000 Americans would be murdered every year. Not to mention 2.3 million assaults, 1.8 million robberies and 160,000 rapes by “misguided youth”. And we can have that country. All we have to do is listen to the voices clamoring for criminal justice reform and America can look like Rawlings-Blake’s “space to destroy” Baltimore. All we have to do is ignore the fact that the real victims in Baltimore are not the thugs in the streets, they are the people being assaulted by them. destroy”. It’s what happened in Ferguson. It’s what has been happening around the country as Obama and his associates have targeted police departments on behalf of criminals. The Obama Purge legalizes crime. It legalizes theft, vandalism and assault. 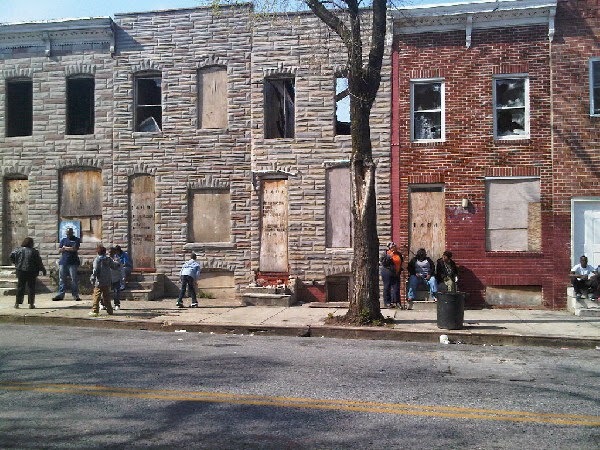 Baltimore, like Ferguson, shows us what that looks like. The solution to crime isn’t less law enforcement, it’s more law enforcement. You don’t make society better by empathizing with criminals. All you do is create more criminals and more crime. You fill morgues, hospitals and cemeteries. You create a nation under siege by violent criminals. The Democrats and Republicans championing “criminal justice reform” have chosen to ignore the lessons of the sixties and seventies. They have decided that sympathizing with criminals will fix everything. Meanwhile the real victims, the people who work hard, especially the working poor, are disdained because they aren’t rioting in the streets. The muggers and looters, the thugs and criminals, are not disenfranchised or forgotten, no matter how often the media tells you that. We see their smirks and hear their voices all the time. It’s their victims who are brushed aside and forgotten. We are told to sympathize with criminals and forget their victims. A moral society doesn’t sympathize with criminals. It sympathizes with their victims. It doesn’t license criminality because it cares about the people who suffer when criminals run wild. And continue is "exactly" what they are doing. Fundamentally transforming America, not helping anyone but themselves gain power, gain more control, socialism ... communism just as Alan Keyes himself said in 2008. Baltimore, like Detroit, Buffalo etc., etc. is well past the point of return. All the true victims can do is quietly pack their bags, whatever is left of them, and get out of town. A half century of the Great Society and the problems seem as intractable as ever. At some point you either have to change your approach or change your definition of success. The left (and much of the GOP elitists) defines success as "no riots this week." We, as Americans, are letting less than half of the 12 percent of the population, tear apart some of our beautiful old cities and landmarks, not to mention kill, maim, and steal from our citizens. If that wasn't bad enough, the quality of life after nightfall in many towns and cities is practically nil. In a previous Century, this would have been called an 'occupation or an invasion.' Now it is called a lack of social justice.. Poverty is cited as the cause, without citing that illiterate dropouts of all races will almost surely fail.. The 'respect' they so desire, has to be earned, but their plantation masters and social scientists fail to communicate that. However, the biggest enabler of all of this goes by the name 'white guilt'.. It seems Nothing will move the majority to action, until their neighborhood starts burning, and perhaps, not even then. Pogo was right. We have become our own worst enemies. Big cities are no longer the place to be. Move where the bus route doesn't run, and don't be afraid to defend yourself and your family. You can't reason with these criminals. The only thing they understand is a shot to the head. But the socialist voters are looters too. When politics amounts to organized legalized theft, where businesses and successful people are looted with government guns, you should expect unlicensed looting. I agree with all the previous comments & additionally I would add: all these inner city 'leaders' & corrupt politicians engage in the soft bigotry of low expectations &/or wish to keep people perpetually disgruntled & dependent on govt entitlement programs! I am pretty much fed up with soft laws and repeat criminals. Fed up with paying for them to be in jail and then let out to repeat the process. Paying for illlegal immigrants and legal immigrants on the dole while I have to be politically correct. What the hell is going on? Killlers and repeat thugs should no longer exist ! Get real. Freddy Gray did nothing wrong! He ran away true, but he had done nothing, had nothing on him and it is his right to run on the street. (just guessing he might have known what the Baltimore Police were about. When stopped he was arrested for having an illegal knife -- in reality it was a pocket knife - totally legal. The charge was bogus (and they knew it), but they treated him like vicious animal…and somewhere along the way his spine was broken and he died. If the Shopkeepers are victims of the riots, trace back to why there were riots…the Shopkeepers are victims of the cause of the riot and demonstrations. I do not condone what was done and I have never understood why anyone thinks violence will further their cause…whether they be demonstrators or police. To say Freddie Gray was a "repeat loser who eventually died as he had lived, being arrested by the police" I would say: You don't know that...but that's the way he looks to you. He was only 25, he "sold a little dope" (I knew grad students at UT that "sold a little dope" ). He was not a thief, he was not an abuser, he was not a gang member…….he was trying live in a tough neighborhood…and I heard one man who knew him saying he was "a nice boy"…I'm thinking a lot of people might "sell a little dope" in Baltimore and a lot of people might get arrested for bogus reasons. To dismiss his life the way you have is alarming. It lacks empathy and understanding a culture that I am sure is foreign to you. You come across as a snob with a bias for what you assume rather than what you know and it skews your uninformed conclusion. Perhaps, sir, if you were arrested by bully police officers for no good reason and treated the same way Freddie Gray was treated, without the outcome of course, you might have a different view. You don't have to be a "bleeding heart liberal" to make an effort to understand a young man died at the hands of unconscioinable bulling by police and, as it turned out, THEY were the criminals, NOT Freddy Gray…..and so that boy, that you never knew and yet made rash assumptions about, is indeed the VICTIM OF THIS STORY! The shopkeepers are not the victims of the cause of the riots. They are the victims of the rioters. Gray had a record for selling hard drugs, not just pot, and for burglary. I have quite a lot of understanding of that culture since I spent most of my time living near it and around it. I have been bullied by police officers and I've also seen the kind of people, the Freddie Grays, who are the reason we have those cops everywhere. I suspect you haven't. it gives loretta lynch a playground for her plan to "use the law to make real the american promise of equality and fairness"
but ultimately it will be used as a reason for obama to get his "civilian national security force that’s just as powerful, just as strong, just as well-funded"